The curing light’s exterior is made from Valox resin, a high-performance plastic that protects and extends the life of the unit. The Extended Turbo Light Guide enables better application with improved access (+28% additional reach) for posterior procedures. I have two of these units and both of them have the identical problem....the battery. The battery does not charge well and it degrades fairly rapidly over two years. The charger is also poorly made as the contact with the batteries are not secure and oftentimes the battery will fail to charge. The plastic shell cracks due to repeated exposure to disinfectant. The slots on the handle trap dirt and difficult to clean. The saving grace for this light is that it does what it is meant to do, intensity is good below average cost. This is a good utility unit. relatively easy to use. Not a fan of the button to change the times since we hit it by accident a lot. 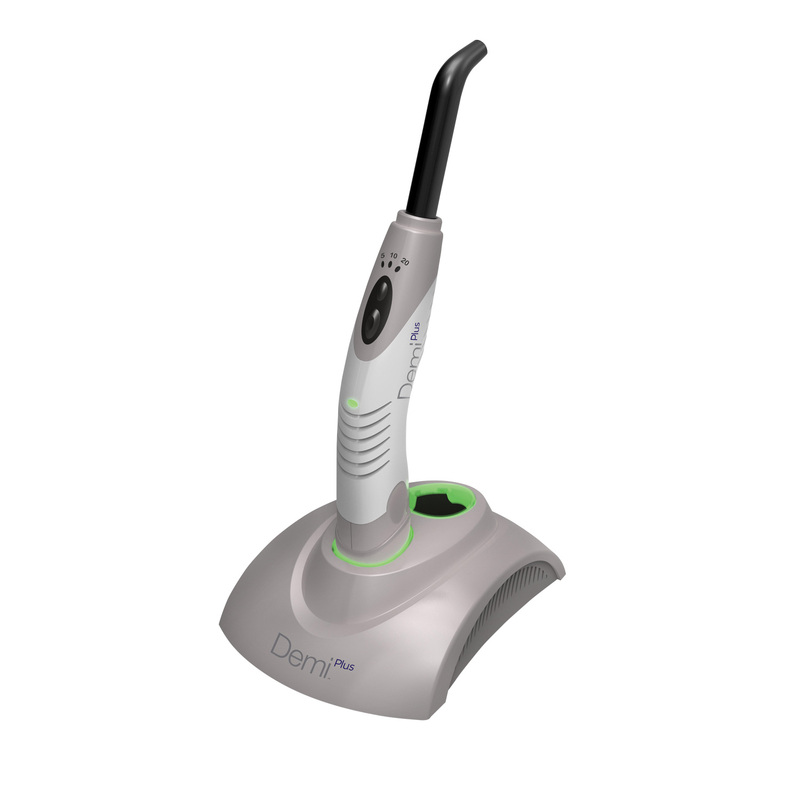 The Demi Plus from Kerr has been a real asset in our dental practice. It has a convenient design, allowing easy handling in the workplace. It delivers the correct amount of curing light and the timer controls are easily located. The charging stand is small enough to allow needed space in the treatment space. So far it has worked without a hitch. A solid bargain with the Kerr quality behind it. I like the light, it is fairly light, good battery life. only negatives are curvature of tip limmits access to some posterior areas and controls at times are a little difficult to engage.